With ten novels and twenty short stories published, Libby Fischer Hellmann writes compulsively readable thrillers, suspense mysteries, historicals, PI novels, amateur sleuth, police procedurals, and even a cozy mystery. At the core of all her stories, however, is a crime or the possibility of one. Today, Libby is sharing some of her thoughts and recommendations on spy thrillers both in literature and on the screen. As well as a look at where women fit into the genre. Enjoy! I started reading spy thrillers around the time of Watergate (Hmm… think there’s a connection?). The first two I read were The Wind Chill Factor by Thomas Gifford and The Eye of the Needle by Ken Follett, and I was blown away by them both. I love this political thriller with a difference, centered around a group of Nazi survivors who viewed their WW2 defeat as a temporary setback rather than the end. They have plans. They have people waiting to spring into action in powerful corporations and capital cities across the world. And the world will soon be theirs… unless someone can stop them. Enter John Cooper, who holds a secret too explosive to be kept as he races against time to redress the balance of good against evil. Classic political suspense from an excellent storyteller. Eye of the Needle is a spy thriller without equal. It’s set during WW2 again, this time the story of an enemy spy who knows about the Allies’ greatest secret, a ruthless aristocratic assassin called The Needle, who holds the key to Nazi success. One Englishwoman stands in his way, and she’s in danger of falling for the killer who has entered her life. Suspense, intrigue, love and danger… what else could a nice girl who does noir girl want? Inspired by these two novels, I worked my way through most of the good old household name standards like John Le Carre, Robert Ludlum and Len Deighton… whom I call the “L’s”. Unsurprisingly, all the authors I read were men except for the marvelous Helen MacInnes (who is definitely not an “L”). After a steady diet of these authors, though, they all started to sound the same: the world was about to blow up, the hero saved the world from blowing up, then he walked into the sunset with his girlfriend. Looking back now, after publishing ten books of my own, the writing—except for Le Carre—wasn’t especially gripping, either. So I stopped reading them, and broadened my reading to include mysteries. Things have changed. 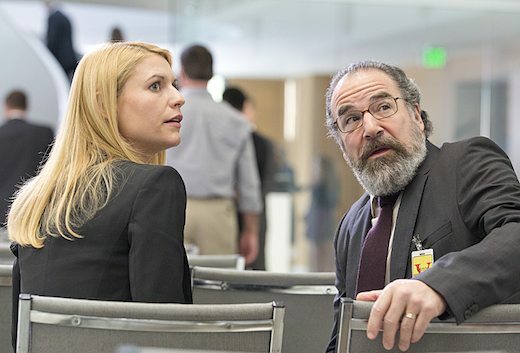 Like the TV show “Homeland,” thriller authors have learned to appeal to women in their stories. It’s about time—we make up 80% of the reading market. As a result, the espionage authors I enjoy most today feature strong women as protagonists and/or major characters. These protagonists do everything (and more) that men do, and there is often a complicated romantic thread that makes the stories even more compelling. Here are just a few of the authors I’m loving now. I’ve mentioned him before, but Daniel Silva is so good it’s worth repeating. If you’ve read all his excellent Gabriel Allon books, we’re on the same page. But have you checked out his earlier novels featuring Michael Osbourne and his lawyer wife Elizabeth? They’re a bit wordier, but still excellent stories. And since the introduction of Chiarra and Dina, his women characters play more prominent roles. Frankly, he still has a way to go on that score. But his plots are grounded in reality, his prose is elegant and easy, and Gabriel Allon is a hero we can admire. His novels tend to come out in July (can you tell I’m ready now?). Here’s a link to Silva’s books on Amazon. “Doctor Jonathan Ransom thought he knew everything about his wife Emma until she was killed in a tragic skiing accident in the Swiss Alps. They had been married for eight years, eight blissful years in which they had travelled the world together. But the day after her death a mysterious letter addressed to her arrives at their hotel. When he opens it, his beliefs begin to unravel — fast. . In the envelope is a railway baggage check to a suitcase that reveals an Emma far removed from the down-to-earth nurse who has been his constant and loyal companion all those years. In it he discovers the clues to a double life. Was she having an affair? When is your wife not your wife? And when she is not your wife, who is she? In The Prince of Risk, his latest novel, a female FBI agent takes center stage. Talk about difficult to put down! Here’s a link to Christopher Reich books on Amazon. But where are the female thriller writers? Even though women are featured more prominently, there’s still a problem. As you have undoubtedly noticed, all the authors I’ve mentioned are male. So where are the female thriller writers? And are they writing strong female characters? There’s Stella Rimington, the first ever Director General of MI5 who worked there between 1992 and ’96 and based her books on her experiences. 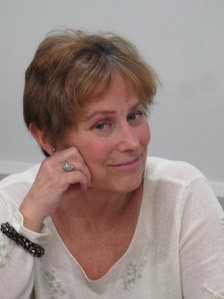 And how about Leslie Silbert, a Harvard graduate whose debut novel The Intelligencer connects Christopher Marlowe’s 1500s spying with an international conspiracy set today? She works as a private investigator in New York, guided by a former CIA officer mentor. Like Lynds, she walks the walk as well as talking the talk. Sure, there are female thriller authors like Jamie Freveletti, Zoe Sharp, and yours truly, but it says something that I’m having trouble finding female authors who write spy novels. And it’s even more interesting that the three women I did mention have all worked in the field, living the life before writing about it. 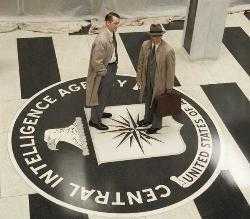 What about your favorite espionage or spy novels? Especially those who feature women in key roles? I know I’ve missed some. Libby’s own award-winning Georgia Davis PI series is showcased on eBookSoda today, where, for a limited time, you can get the boxed set of 3 for just $1.99. This entry was posted in thrillers and tagged espionage, Libby Fischer Hellman, spy novels, the Georgia Davis PI series, thrillers on 7th March 2014 by Sha.